Today was not cold at all. I'm surprised that it was very wet and rainy today. This is going to be a late greeting but Happy New Year everyone. Hope you all had an amazing new years and no i did not drink this time. I actually did my count down with my family. I usually end up missing the countdown because i'm somewhere in the corner passed out drunk. But Enough of that. This is going to be my first look for this year 2013. 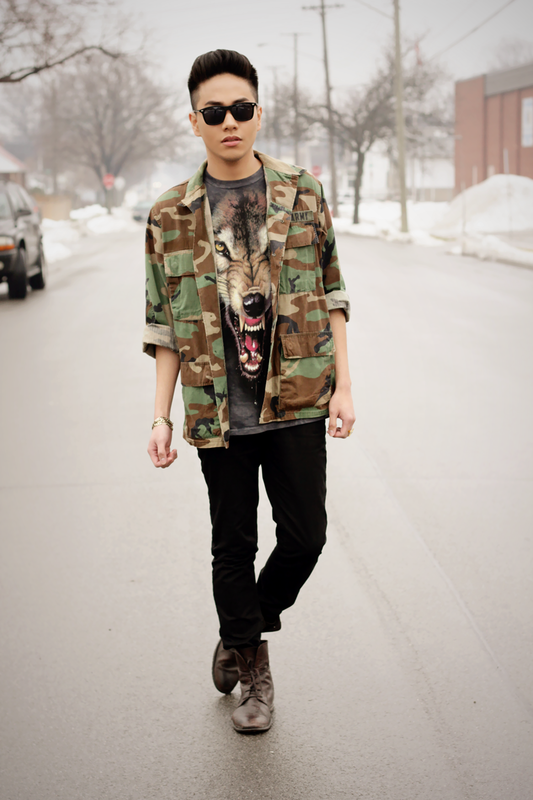 I actually found this camouflage jacket when i was doing my Christmas shopping. I ended up in this amazing vintage place Downtown Hamilton. The store was called Out of the Past. It was the same place where i got my Michael Jackson jacket last two Halloween ago. I have been looking everywhere for this jacket. Surprising that camouflage prints are now very trendy. I remember when i was 10 years old, I used to wear my full camouflage military outfit all the time because it was my favorite. People thought i wanted to be in a Military when i grew up. Hopefully i won't make the same mistake i did back then, ha ha. Hope you like this look. 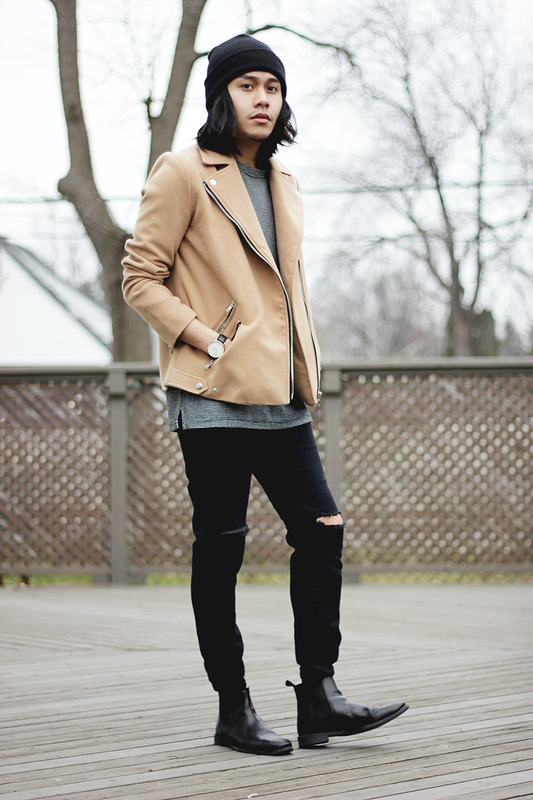 pants from hm, shades from topman and boots from zara.